This rate offers one free night inclusive of full English breakfast daily served on private balcony or patio or enjoyed buffet style in the restaurant. Invitation to the owners cocktail party in their home on property. Regular live evening entertainment. Complimentary non-motorized watersports. Use of tennis courts with complimentary tennis coaching and gym, Service Charge and Value Added Tax. Guarantee Policy: We require an advance deposit of 50% of the total room rate at the time of booking. Kindly advise hotel of your arrival and departure flight numbers and times and bedding preferences (king/twin). This information will enable us to have everything ready for your arrival. 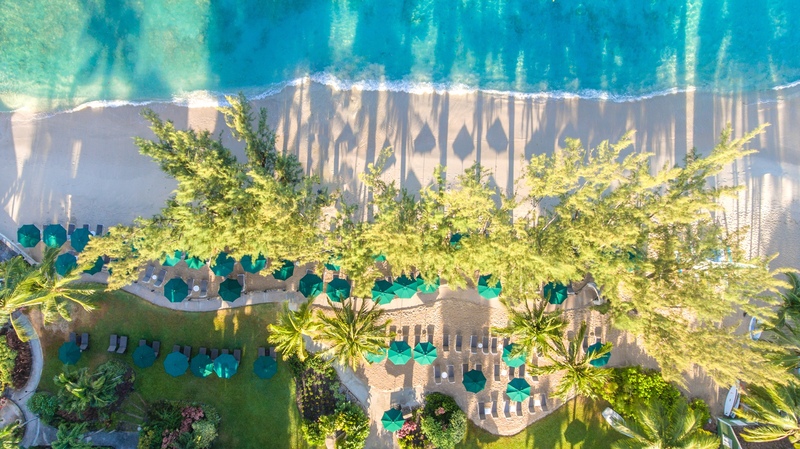 Cancellation Policy: We recommend that our guests take out insurance against possible cancellation fees as which are as follows: Cancellations within 30 days of arrival a charge of 50% of the total room rate will be held. In case of early check-outs 50% of the remaining stay will be applied. *Children are welcome EXCEPT for the period 20 January – 28 February when children under 12 years cannot be accommodated. *Dress Code: Year round - Elegantly casual. No shorts allowed in the restaurant in the evening. We ask that gentlemen not wear sleeveless shirts, hats or caps in the restaurant. On Christmas night the dress code is Black Tie/No Tie. On On New Year’s Eve, Black Tie/Suit/Jacket or No Tie are requested. Kindly be aware that Management reserves the right to make the final decision on what might be unacceptable attire in an effort to keep the evening elegant. *Group Conditions: Maximum 10 rooms, please contact Joy Pilgrim - Group Coordinator with all group or meeting requests. Junior Suite style accommodation consisting of a large king size or twin bedded room with sitting area within the bedroom, bathroom with separate shower and tub and large patio or balcony. 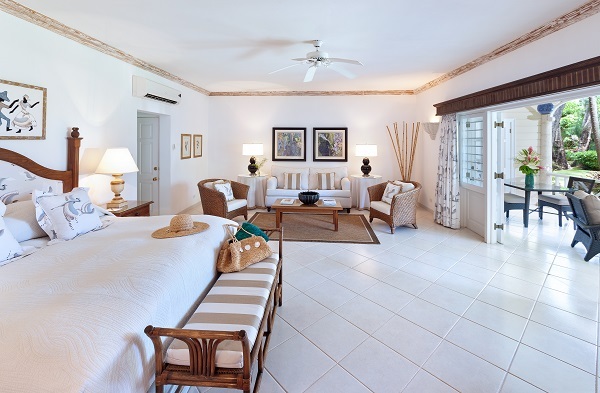 These suites can accommodate two adults and are located in the gardens. Junior Suite style accommodation consisting of a large king size or twin bedded room with sitting area within the bedroom, bathroom with separate shower and tub and large patio or balcony. They can accommodate two adults and are located in the front half of the gardens leading towards the sea. The majority are pool view. Please contact reservations for child rate. 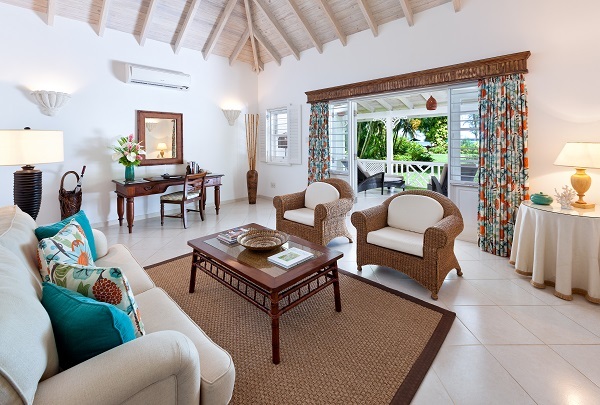 Cottages on the ground floor or Suites on the first floor consisting of a king or twin bedded room, dressing area, en-suite bathroom with separate shower and tub, air-conditioned living room with sofa bed, large patio and private plunge pool. These cottages can accommodate either three adults or two adults and two children. They are located in the front half of the gardens leading towards the sea. The majority are garden view. Please contact reservations for child rate. 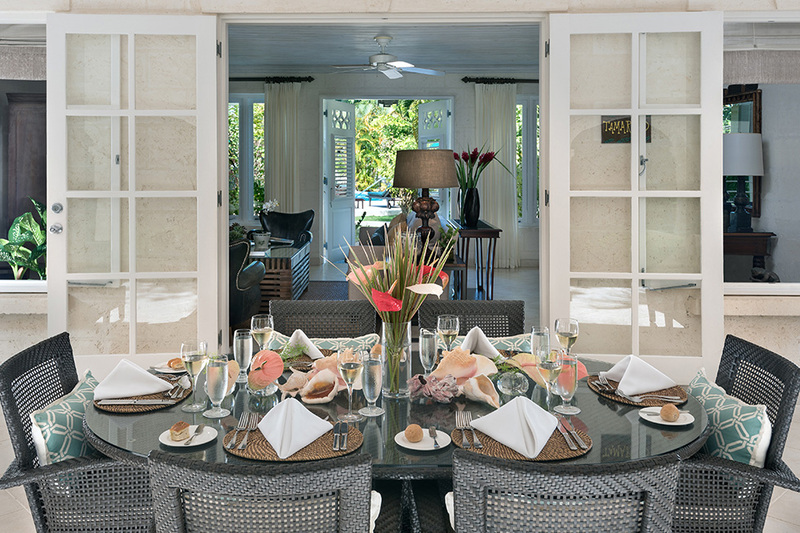 The Luxury Plantation Suites are the pinnacle of elegance and style. They consist of a bedroom with a four poster or canopied bed, spacious living room, dressing area and a large bathroom with a walk-in shower and separate tub - all air-conditioned. There is a large covered terrace complete with wet bar and a complimentary starter bar (selection of spirits and soft drinks). There is also an open sundeck with a plunge pool. 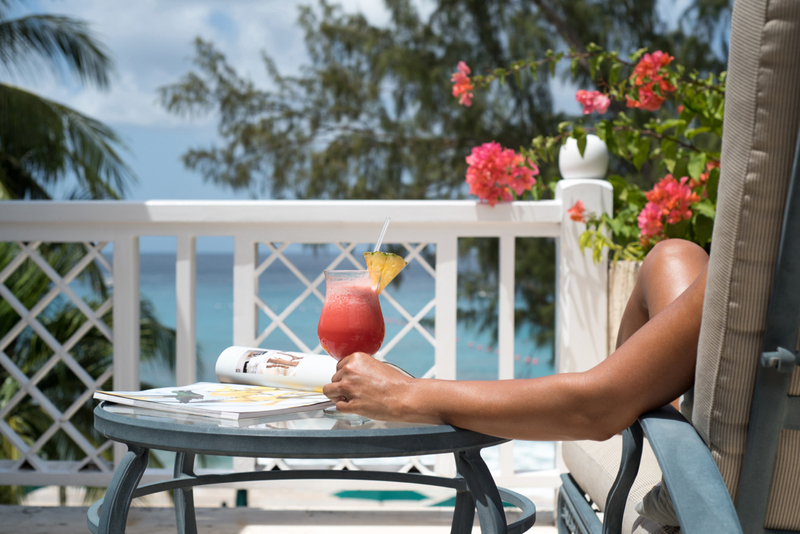 The Plantation Suites all have views of the sea and can accommodate two adults. Children under 12 are not permitted in these rooms. Three of these suites have king size beds and two can convert from king to twin beds if required.